Bentham Paulos is the principal of PaulosAnalysis, providing consulting on energy policy, advocacy, communications, and research. 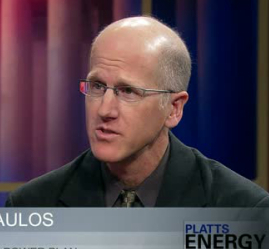 Paulos is an analyst, strategist, writer, and advocate for clean energy. PaulosAnalysis clients have included government agencies, non-profits, foundations, research and consulting firms, trade associations, and media. Paulos is on the board of the Clean Energy States Alliance, serves as a commissioner on the Berkeley Energy Commission, and works as an Affiliate in the Electricity Markets & Policy Group at Lawrence Berkeley National Lab. He conceived, launched, and directs the Power Markets Project, studying reforms to electricity markets in the US and Germany. He did the same for America’s Power Plan, a policy roadmap to a clean energy future funded by the Energy Foundation. He is a correspondent for POWER, Greentech Media, Impactivate, and the Energy Transition blog. 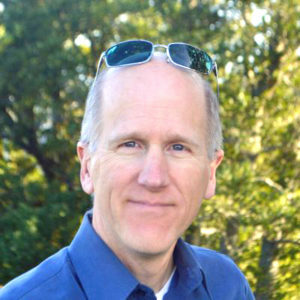 Paulos was on the staff of the Energy Foundation from 2000 to 2013, directing the renewable energy work for the whole time, utility efficiency work for five years, and creating and managing the first US grants program on advanced biofuels for three years. His signature accomplishment at the Foundation was to develop strategies and support research and advocacy that expanded the number of state RPS laws from 12 to over 30. This will ensure that the US will get at least 10 percent of its power from renewables by 2025, and carbon emissions will be lower by 200 million tons per year. PaulosAnalysis was started in 1995 in Madison, providing energy policy consulting and writing on Midwestern issues to national and international clients, including the American Wind Energy Association, Windpower Monthly, and Environmental Resources Trust. Paulos also worked with the Energy Center of Wisconsin, the Union of Concerned Scientists and Abt Associates. He has an MA in Energy Policy from the La Follette Institute of Public Affairs at University of Wisconsin – Madison, and a BA in Classics at Tufts University in Medford, Massachusetts. See more details on his resume.